“Rugged and resilient, rye has been a staple grain for ages and its spicy black pepper-like flavor has been prized by distillers and brewers for centuries. 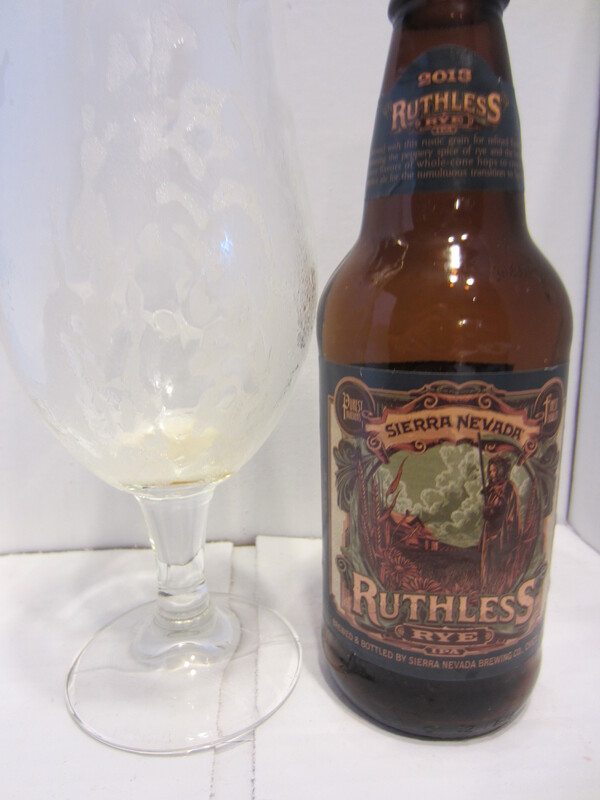 Rye thrives in the harshest conditions and comes to life in Ruthless, a spicy and rugged IPA with fruity, citrus and herbal hop notes balanced with the dry spiciness of the rye, making the beer aggressive yet comforting to bolster against whatever the winter winds may bring.” 6.6% ABV Rye IPA. Purchased from CVS in Prather, California. Poured from a 12 oz bottle into my stemmed ale glass. 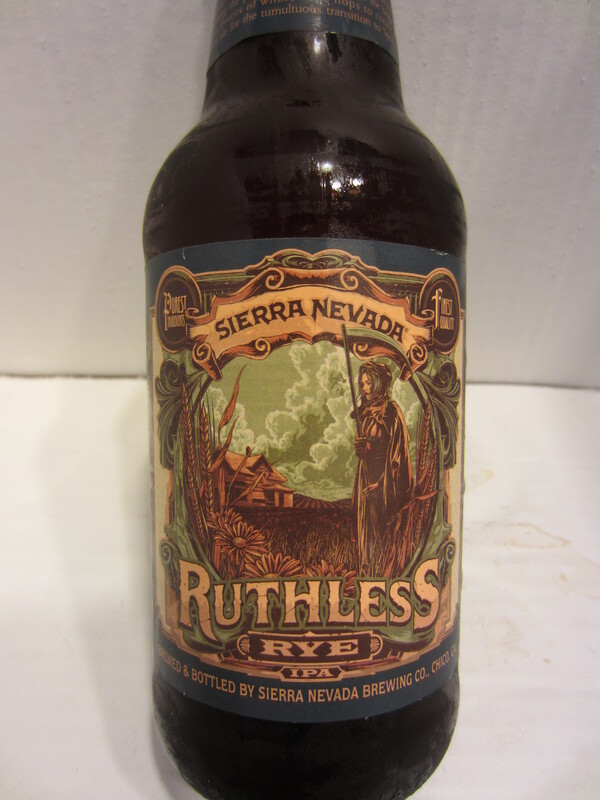 Ruthless Rye is hazy orange-brown, with a nearly white head that leaves modest lacing. 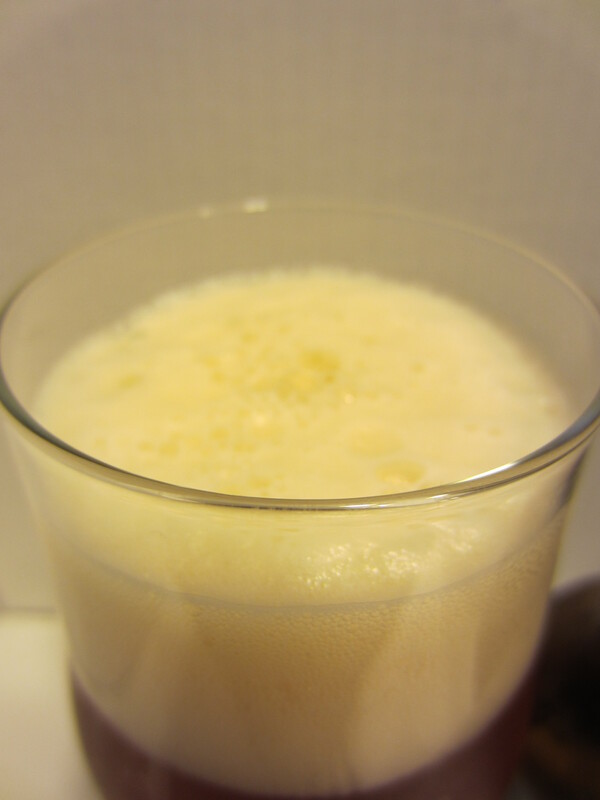 Few carbonation bubbles are visible in the glass. In order; aromas of orange peel/citrus esters, black tea, and a touch of spicy hops are all prevalent. Medium thin body. Some carbonation is noticeable, with mild bitterness on the back end. The flavors follow the nose pretty much spot on. It finishes pretty dry, with the orange peel/black tea flavors lingering on the palate. 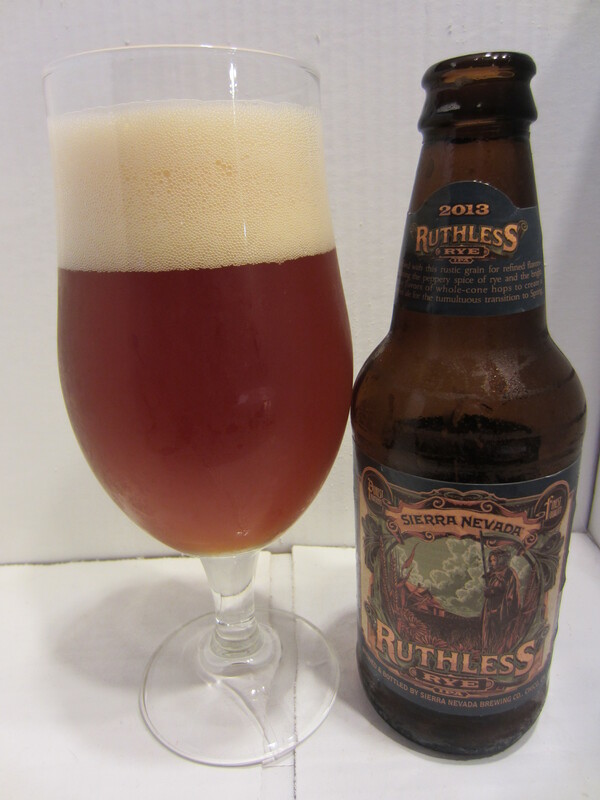 Ruthless Rye IPA is very easy to drink. 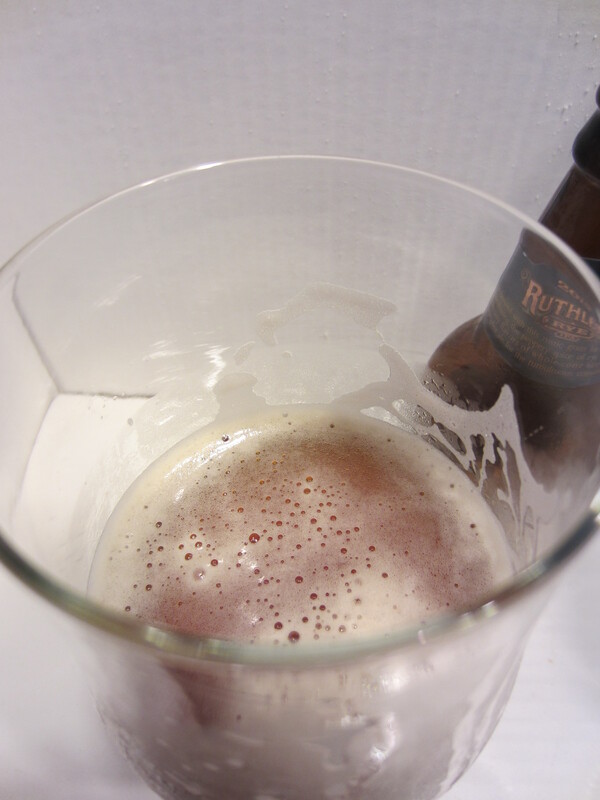 The flavors are done well, though pretty off base for the casual beer drinker. Its bitterness is pretty light for an IPA, and a dry finish basically begs for another drink right away. It has a bit of a spicy zest that adds a unique flavor for an IPA. I haven’t had many rye IPA’s (the only other one I can remember is Firestone Walker’s Wookie Jack), but wouldn’t mind others in the style. Overall, pretty good. 8/10.